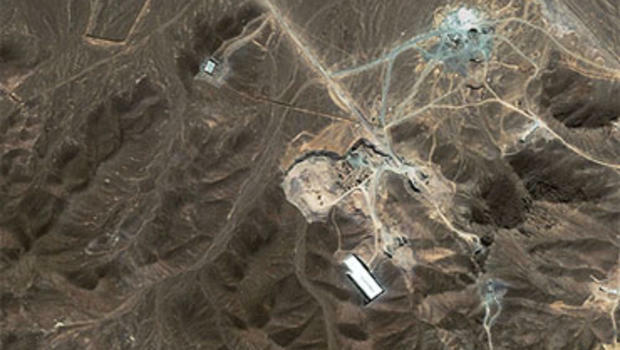 This satellite image taken Sept. 26, 2009, provided by GeoEye shows a facility under construction inside a mountain located about 20 miles north northeast of Qom, Iran. TEHRAN, Iran — Iran has deployed a Russian-made S-300 air defense system around its underground Fordo nuclear facility, state TV reported. Video footage posted late Sunday on state TV’s website showed trucks arriving at the site and missile launchers being aimed skyward. It did not say whether the system was fully operational. Gen. Farzad Esmaili, Iran’s head of air defense, declined to comment on the report in an interview with another website affiliated with state news. “Maybe if you go to Fordo now, the system is not there,” he was quoted as saying Monday. He added that the S-300 is a mobile system that should be relocated often. Russia began delivering the S-300 system to Iran earlier this year under a contract signed in 2007. The delivery had been held up by international sanctions over Iran’s nuclear program, which were lifted this year under an agreement with world powers. Critics of Iran’s nuclear program pointed to Fordo as further proof of Tehran’s intention to secretly develop nuclear weapons. Iran insists it has never sought nuclear arms, and says the security around the site is intended to protect it from U.S. or Israeli airstrikes. “We carry out defense exercises in non-nuclear facilities once a month but we do them several times a month in our nuclear facilities,” he added. On Monday Iran inaugurated a new radar system it says is capable of detecting radar-evading aircraft like the U.S.-made U-2, RQ-4 and MQ-1, state TV reported. It said the Nazir system is located in a remote area and is capable of detecting ballistic and cruise missiles, as well as drones flying at an altitude of over 9,800 feet. Over the past two years the core foundation of the Iraqi Shiite camp was shaken more than once following the impact of events and alterations occurring in the political scene and balance of power among political players, diminishing the role of some and opening the door to newcomers to the scene. At the time, the results that granted the former Iraqi Prime Minister Nuri al-Maliki the parliamentary majority and the constitutional right to form the government were considered a victory for the new Shiite political forces in face of the traditional religious authorities. However, the anti-coalition formed by the remaining political and religious parties and who pushed toward depriving al-Maliki from a third term, partly succeeded in its goals by excluding al-Maliki from the prime minister position, and thus re-shuffled the cards inside the Shiite camp, and sparked a crisis whose chapters continued to follow. Also, the representation of Shiite political forces inside the Iraqi parliament following that election established a situation of malfunction and imbalance in the political system, at least inside the Shiite camp, caused by the difference between the real weights of the political forces in the street and their representative quotas in the parliament. And perhaps, this introduction can play the role of a starting point to keep track of the political movement that stands behind the recent protests, in particular Moqtada al-Sadr and his followers. The Shiite leader Muqtada al-Sadr declared himself after the election results the spearhead of the attack on al-Maliki, in a turn against the ambiguous alliance between them, whose signs started to show before the election. al-Sadr entering the line and fiercely taking the lead of the battle to exclude al-Maliki necessitated a quick Iranian intervention to contain the repercussions of the crisis and to prevent any further rifts inside the Shiite campaign, thus sacrificing the constitutional right that grants its first Iraqi ally Nouri al-Maliki the right to form a government, and declaring its support for the fragile coalition leading to the nomination of Haider al-Abadi, the nominee of the Islamic Da’wa party for the prime minister position. However the anti-Maliki Shiite coalition led by al-Sadr, considered that the priority was to dismantle the Pro-Maliki system from the Iraqi official bodies since it embodies the corruption and mismanagement in the state, a system which al-Maliki set and developed since he first became the Iraqi prime minister in 2006, by allocating position of power and privileges in different sections of the state apparatus for his allies and those close to him. Moreover, the significant decline in oil prices, that represents almost the only source of income in the country, the resulting aggravation of the economic problems, a budget deficit reaching 25%, and the fall of Mosul in the hand of the Islamic state in a shocking scene fanned the flame of the official and popular anger toward all what was happening, increased the tension among the different parties, and contributed to the charged atmosphere which led to the recent protests earlier this year. Before the February 2016 protests, the Prime-Minister-designate Haider al-Abadi adopted a neutral stance toward the polarized state between al-Maliki and his allies on one hand, and the opponents camp led by al-Sadr on the other. However, under the pretext of responding to the protests in the streets, his position became closer to that of al-Sadr camp, the thing that helped reaching consensus over the formation of a government of technocrats from the competent elite in charge of pulling the country out of the crisis. Although this government received the support and the endorsement of several religious and political parties, most notably the Shiite Islamic Marja’ Ali al-Sistani, al-Maliki, and Moqtada al-Sadr, the Sadrist movement leader, who ended the two-weeks-strike carried by his supporters front of the gates of the Green Zone, however it has angered other parties of the front that backed al-Abadi for the Prime Minister position, especially the Islamic Supreme Council headed by Ammar al-Hakim, who own a large parliamentary bloc in the current Iraqi parliament. The rift within the Shiite camp deepened after al-Abadi failed to pass the technocrat government, both in its first form or after the subsequent modifications which made it a multiparty technocrat government as an answer to al-Hakim demands. The religious authority in Najaf, in what many observers interpreted as a reflection of its frustration and a retreat from endorsing al-Abadi, announced that it will no longer give its weekly political statement regarding current affairs. Also, al-Abadi’s hesitation and his failed attempt to satisfy all parties has backfired. As for al-Sadr, and in attempt to dominate the Shiite popular street and proclaiming himself its ultimate leader, he appeased the demands of the recent protest movement to the point of hyperbole populism and extremism which does not leave any space for political action, and it is impossible for al-Abadi to adopt or keep up with. Moreover al-Sadr was able to attract a good portion of secular and nationalist Iraqis, now that his differences with Iran has surfaced, coupled with his history in resisting the American occupation, especially since he worked hard in the last two years on presenting himself as an Iraqi nationalist leader who went past the sectarian limits, In spite of all the show-off enormity in his quest to lead the protest movement. Besides, the course of events shows a possible imminent convergence between al-Maliki and al-Hakim, which could lead to an agreement pushing toward removing al-Abadi and replacing him with another candidates whose political problem is limited to the preparation for the 2018 elections, and so al-Abadi and his Allies’ struggling attempt, which many parties felt threaten by in the past two years, will be buried once and for all. In addition to all this, the preparations for the liberation of Fallujah, which aimed to dismantle the most important stronghold of Sunni Jihadist in Iraq, has turned into a symbol for Shiite and national alignment, giving the new Shiite militias entering the Iraqi scene to reap more popularity and legitimacy for its political and military role, which means new Iranian power in the Iraqi scene due to this groups direct subordination to Iran, whether by strengthening the presence of these militias in the scene, or by Iranian pro-forces taking over various states agencies, especially since the Popular Mobilization Forces, which was formed from Shiite militant factions has been adopted as a reserve Military force under the government’s command. The political Shiite class, in the first years that followed the US invasion of Iraq, took advantage of the international support it has gained, in addition to the financial receipts that flowed from Oil sales, and was able to provide through the new political system, mechanisms to contain and absorb wide Shiite social sectors, however, under the weight of international changes, new players storming the Iraqi scene, the escalating financial crisis, and the popular fidgetiness caused by the performance of this class. These mechanisms became weakened and unable to perform its previous role. Now, the new Iraqi generations which were not around in the years when the profits were distributed have stormed the squares, the streets and even the “Green Zone” in an effort to secure their own destinies in a country is begging for its own fate to be secured. In an apparent reference to the US, Khamenei told soldiers at a Tehran air base “the enemy should understand that if it makes any aggression, it will be hit hard and our defense will also include response,” according to the state-run Fars news agency. 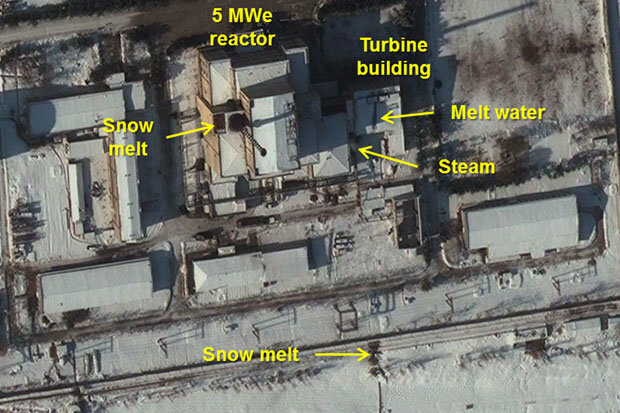 Speaking of the advanced, Russian-made S-300 surface-to-air missiles, Iran’s state-run media announced on Monday that the weapons have been deployed around the Fordow underground uranium enrichment facility. “Our main priority is to protect Iran’s nuclear facilities under any circumstances,” said Brig. Gen. Farzad Esmaili of the Islamic Revolutionary Guards Corps’ air defense forces, as quoted by Reuters. “Today, Iran’s sky is one of the most secure in the Middle East,” Esmaili boasted. He did not explain why Iran would deploy so much expensive imported firepower around a facility that supposedly isn’t being used. “Fadavi – who has previously called the US Iran’s sole enemy and claimed its military capabilities have weakened in recent years – claimed the 97 IRGC speedboats patrolling the Persian Gulf were keeping US warships in the Persian Gulf at bay,” writes the Times of Israel, alluding to several incidents last week in which Iranian boats performed dangerous, unprofessional “high-speed intercepts” of American navy vessels, in one case forcing an American ship to fire warning shots at them. Reuters reports that Iran also claims to have run an American drone out of its airspace on Monday. “Iran’s army air defense detected and warned an American drone in the eastern airspace of the country. It was coming from Afghanistan. The drone left the area,” said an Iranian official quoted by the Tasnim news agency. Times of Israel adds that Iran claims the “radar-evading” American drone launched from a base in Kandahar, Afghanistan, and was 20 miles away from Iran’s border when it was somehow “dissuaded from accomplishing its mission” by a “serious warning” from Khatam ol-Anbia Air Defense Base. It is commonly speculated that Iran is lashing out because its leaders are frustrated by the inadequate payoff from Barack Obama’s nuclear deal, which has “failed so far to yield the significant economic benefits for the country that its advocates had promised,” as the New York Times puts it. That frustration could explain the rumored arrest last week of Abdolrasoul Dorri Esfahani, a dual Canadian-Iranian citizen who worked as an adviser to Iran’s central bank and helped Iran bargain for sanctions relief in the nuclear deal. A spokesman for the Iranian judiciary confirmed that someone from the negotiating team was arrested on espionage charges, but later released on bail. As the NYT notes, it’s unusual that Iran did not identify the individual or explain why bail would be granted for the very serious charge of espionage. The decision came one day after prominent Shia cleric Muqtada al-Sadr declared that the country’s next government would be a “government of militias” if the Hashd al-Shaabi were allowed to field candidates in provincial council and parliamentary polls slated for 2017 and 2018 respectively. In a Sunday statement, the commission said it had based its decision on the fact that the Hashd al-Shaabi constituted a “military organization with links to the [Iraqi] security agencies”. Iraq’s Political Parties Law, it went on to explain, which was ratified by parliament last year, prohibited the registration of “military or paramilitary organizations” as political parties. On July 20, the electoral commission began the registration process for political parties that planned to participate in the upcoming elections. According to Hashd al-Shaabi spokesman Karim al-Nouri, the militia group’s primary responsibility at present was to pursue the fight against the Daesh terrorist organization, which continues to hold large swathes of territory in war-torn Iraq. “Our presence in the battlefield today is to confront Daesh,” al-Nouri told Anadolu Agency on Sunday. “We didn’t want to arm ourselves, but the country’s dire security situation forced us to go from a civilian organization to a military one,” he said. “Our main concern now is pursuing the fight against Daesh,” al-Nouri asserted. Iraq has suffered a devastating security vacuum since mid-2014, when Daesh captured the northern city of Mosul along with vast swathes of territory in the country’s northern and western regions. In recent months, the Iraqi army — backed by U.S.-led airstrikes and its allies on the ground, including the Hashd al-Shaabi — has since managed to retake much of the territory lost earlier to Daesh. Nevertheless, the terrorist group remains in firm control of several parts of the country, including Mosul, Iraq’s second largest city. NORTH Korea is running an international nuke supermarket and will even sell to ISIS jihadis if they can stump up the cash. 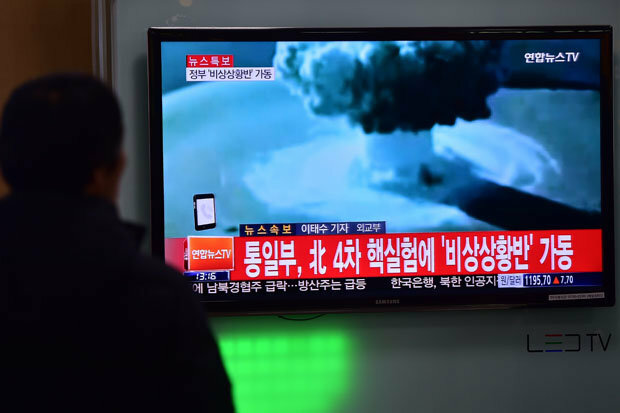 Multiple missile tests have been ordered by Kim Jong-un in recent months in a bid to boost the range of his rockets.The defiant North Korean also detonated a hydrogen bomb in January and restarted the Yongbyon nuclear reactor. And now it’s feared he’s becoming the arms dealer of choice for the world’s rogue nations and terrorists. Kyle Orton, a security analyst focused on the Middle East, said the North had even tried to sell to Saddam Hussein in the past. On the eve of the Iraq invasion, the Iraqi dictator was offered not just Rodong missiles – but the tech necessary to make more at home. Mr Orton told Daily Star Online: “Since then, North Korea has been shown to have very deep links, on nuclear and other weaponry, with Iran. Take a look inside North Korea, these fascinating photographs reveal the world’s most secretive state. 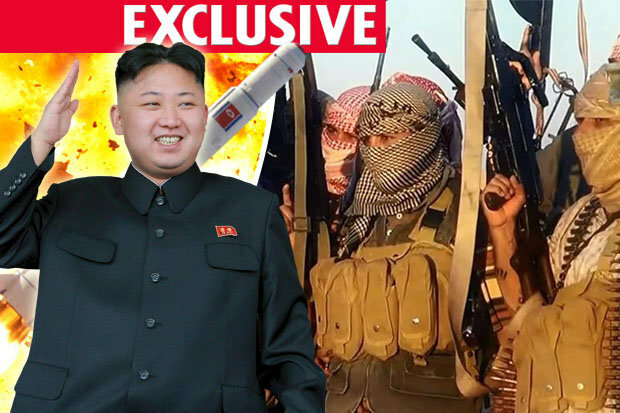 Amid reports that Kim Jong-un is paying mercenaries to unleash terror attacks, it’s further speculated that ISIS could offer the North hired muscle. 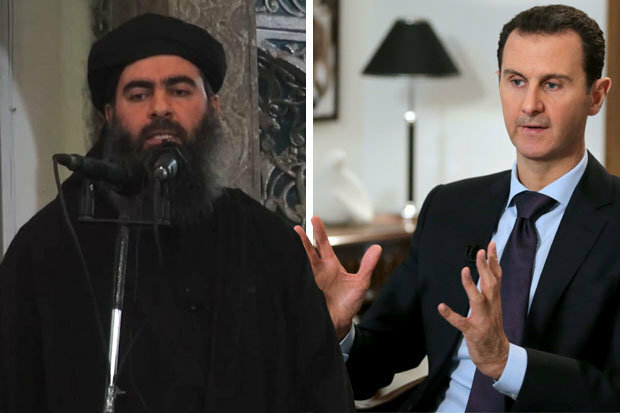 Murderous Syrian dictator Bashar al-Assad was among those ISIS had worked with, he said, when planning attacks on rival forces. 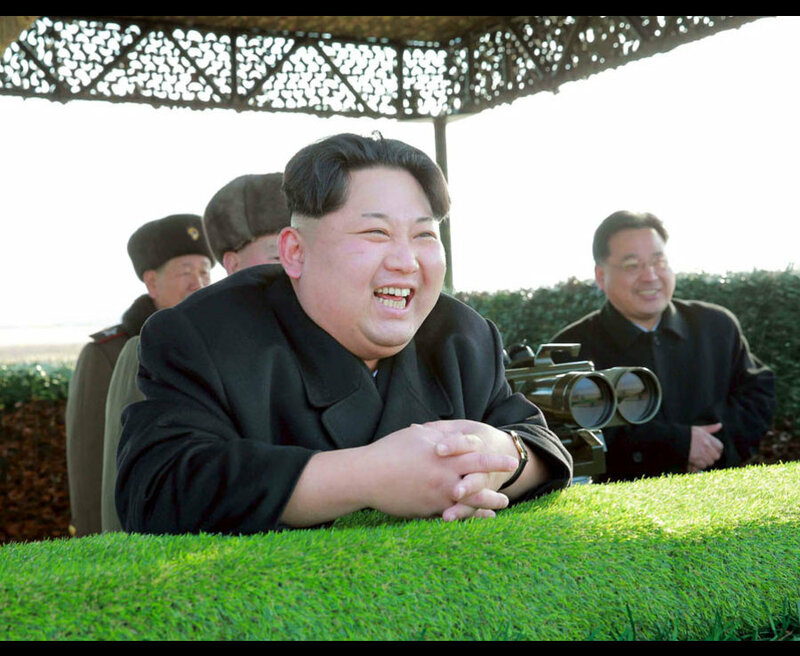 Thankfully, the onslaught against Daesh has cut its territory by half, stripped it of numerous oil facilities and slashed its income.So North Korea’s missiles are probably too pricey for the cash-strapped terror group right now – even if Kim Jong-un remains happy to trade. Nor is there an obvious overlap currently between the two sides’ interests, with North Korea focused on its southern neighbour. But Mr Orton said an alliance between Islamism and North Korea remained possible while there were “common Western enemies”. He continued: “North Korea has a long record of sponsoring terrorism across the world, usually through proxies.”This could be organised crime or pre-existing paramilitary groups, or supplying resources to terrorists. North Korea was listed by the US as a state sponsor of terrorism until 2008, when it negotiated its removal from the list. Amid escalating tensions between US and Iranian vessels in the Persian Gulf, Iran’s Supreme Leader Ayatollah Ali Khamenei on Sunday warned any military aggression against the Islamic Republic would be met with a harsh response. His remarks come days after US seamen complained of being harassed by Iranian gunboats in the open waters of the Persian Gulf, ramping up tensions. On Saturday, a top Iranian military official claimed the strength of its navy was deterring the US from launching a military offensive against Tehran. “The US doesn’t enjoy the power to confront Iran militarily,” Rear Admiral Fadavi, naval commander of the Islamic Revolution Guards Corps told a group of paramilitary volunteers in Arak, according to Fars. Fadavi — who has previously called the US Iran’s sole enemy and claimed its military capabilities have weakened in recent years — claimed the 97 IRGC speedboats patrolling the Persian Gulf were keeping US warships in the Persian GUlf at bay. Last Wednesday, a US military official said Iranian ships in the Persian Gulf harassed American naval vessels in three recent incidents, including one that prompted a US warship ship to fire warning shots. According to US Navy Fifth Fleet spokesman Commander Bill Urban, several IRGC boats maneuvered around two US patrol ships, the USS Squall and USS Tempest, creating a possible collision hazard. All three encounters last week occurred in international waters in the northern Persian Gulf, Urban said. A day earlier, US defense officials said four Iranian warships in the Strait of Hormuz sped close to two US Navy guided-missile destroyers with their weapons uncovered in an “dangerous, harassing situation” that could have led to an escalation. The Nitze was accompanied on its mission by the USS Mason, another destroyer. OnThursday, Dehghan said that his naval forces will warn or confront any foreign ship entering the country’s territorial waters. The semi-official Tasnim news agency quoted Gen. Hosein Dehghan as saying that “if any foreign vessel enters our waters, we warn them, and if it’s an invasion, we confront.” He added that Iranian boats patrol to monitor traffic and foreign vessels in its territorial waters. A defense official told AFP that ships from the US and Iranian navies had interacted more than 300 times in 2015 and more than 250 times the first half of this year. Ten percent of those encounters were deemed unsafe and unprofessional, the official said. In January, the Iranian navy briefly captured the crews of two US patrol boats that had, through a series of blunders, strayed into Iranian territorial waters. The 10 American sailors were released within 24 hours. CNN’s senior media reporter Dylan Byers reported that media outlets criticized an “arguably misleading” story by the Associated Press, where an “inaccurate tweet” promoting the story falsely claimed that “more than half” of the people who met Democratic presidential nominee Hillary Clinton while she was secretary of state had also donated to the Clinton Foundation. Hillary Clinton is surrounded by suggestions of controversy. Terms like “Clinton Foundation,” “email server,” and “Benghazi” hover around her like a faint smoke that hints at the existence of fire. But finding the fire — the lie, the misdeed, the unethical act — is proving to be rather difficult, as evidenced this week by an inaccurate tweet and arguably misleading story from the Associated Press that were quickly rebutted by the Clinton campaign and dismissed by many media outlets. Three days later, the Associated Press is still standing by its story and has yet to correct its tweet, despite near unanimous agreement among other journalists that the tweet, at least, was false. Meanwhile, other news organizations pilloried the AP’s report. Vox’s Matthew Yglesias was more direct: “The AP’s big exposé on Hillary meeting with Clinton Foundation donors is a mess,” his headline read.